Welcome the coming of spring with a search for the first wildflower on the prairie! This event has come to be a favorite of many people. 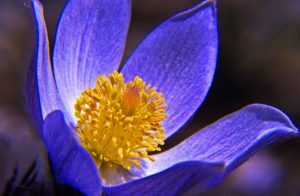 Whether this is a new event for you or whether you have enjoyed it in the past, the search for the pasque flower is an annual rite of passage of spring. The O’Brien County Naturalist will lead the Pasque Flower Hike on Saturday, April 6 at 2:00 p.m. Enjoy an afternoon walk along the hillside and imagine what the landscape once looked like! Meet at the Waterman Prairie on Wilson Avenue. From Hwy 10, turn south on Wilson Avenue and follow the road around the curve, over the bridge and straight up the hill. The parking lot will be on the east side of the road.